The growth of new blood vessels from existing blood vessels – angiogenesis – has been a prominent target of cancer therapy for nearly half a century. By stopping angiogenesis in tumors, cancer cells would be deprived of precious blood, oxygen, and nutrients that are necessary for continued survival. Many anti-angiogenic therapies have resulted in reduced tumor sizes and stoppage of tumor growth. Some drugs, including Bevacizumab and Sorafenib, have been approved by the FDA to treat specific types of cancer. However, many anti-angiogenic therapies have failed to completely cure patients, as tumor resurgence, increased malignancy, and other unforeseen consequences can occur. Blood vessels in tumors differ greatly from blood vessels in healthy tissue. Normally, blood vessels grow from locations that are rich in oxygen to locations that are oxygen-poor or grow toward cells or tissues that are signaling that they are in dire need of blood supply. Additionally, blood vessels often need to follow a step-by-step process involving cell migration, cell division, and maturation to become vessels that are fit to carry blood through a tissue. As a result, healthy tissue contains blood vessels that are well-organized and successful in carrying blood in a single general direction: start from larger arteries, go to smaller capillaries, then go out toward veins. In tumors, however, the signals that control blood vessel growth are out of balance. Blood vessels in tumors grow much faster than normal and grow without organization. They grow too quickly to successfully mature into fully functional vessels and instead become weak and leaky. Additionally, they are often growing in random directions, sometimes through other blood vessels. 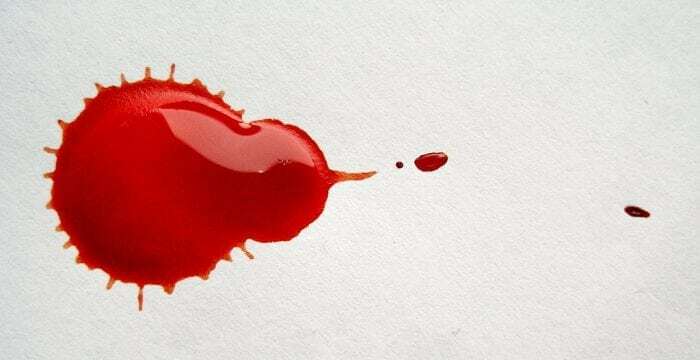 In extreme cases, blood flow can proceed in a given direction, then double back to its own source, failing to go from artery to vein as it would in healthy tissue. This kind of chaos is the critical barrier that limits the ability of many anti-angiogenic therapies to stop cancer. A number of unforeseen outcomes can occur when one does not consider the complexity of the interaction between blood vessels and the environment inside tumors. For example, one may destroy tumor blood vessels using an anti-angiogenic drug, but not anticipate the surge of blood vessel growth signals that the tumor produces after treatment ends. Because of this, the blood vessels grow back more abundant and chaotic than before. Additionally, by cutting off signals that drive blood vessel growth, one also shuts down protective signals that prevent blood vessel cells from becoming more dangerous, pro-cancer cell types. This potentially makes the cancer more malignant than before. In these cases, the situation has gotten worse as a result of treatment, not better. Strategies are currently being devised to overcome limitations of anti-angiogenic treatment and control the long-term effects of treatment. These include the use of new drug combinations, improved dosing regimens, and controlled dosing timings. Successful outcomes include improved transport of drugs into the interiors of tumors, and the simultaneous elimination of blood vessels and cancer cells. To better understand the short and long-term effectiveness of these strategies, artificial tumors can be built and used to model the results of drug treatments in a way that scientists are easily able to observe as many aspects of tumor biology as possible. Numerous tools and techniques have been developed for generating tumors in well-controlled, artificial environments – “Tumors in a Dish.” Ideal tools would allow scientists to recreate tumor biology in predictable and repeatable ways. This can be done through the manipulation of materials that contact cells and control their behavior. Techniques include decorating materials with molecules that cells recognize as “attachment sites.” The species and density of these attachment sites, combined with controlled material stiffness can control rates of cell division and migration. The right material can allow a model blood vessel to grow in just the way a scientist desires. Attachment sites may also be patterned as pre-ordained shapes to control the shape and directionality of blood vessels grown in the environment. Certain molecules may be used to capture and preserve signaling molecules that cells use to communicate with one another, allowing scientists to recreate tumor environments that are overly rich in pro-angiogenic signaling molecules. Materials are also being used to control the density of oxygen available to cells in the environment, as low oxygen density is a hallmark of the tumor environment. Various bioprinting and cell patterning techniques are being used to construct miniature approximations of tumors, by generating tissues where blood vessels and cancer cells can communicate either through long-distance signaling molecules or through direct contact. The variety of tools to generate any tumor-like environment of interest is constantly growing. Using these techniques, scientists will be able to generate model tumor blood vessels and observe the effects of anti-angiogenic therapies – both short-term and long-term – in real time. One may discover specific reasons why current anti-angiogenic treatments fail to eliminate tumors, and one may discover new treatments that overcome these problems. The use of Tumors in a Dish accelerates this process as the model tumor environment is easily observed and model tumor environments – even the chaos of it all – may be constructed in a repeatable way. When automation and robotics are applied to this process, the potential for testing thousands of new therapies in thousands of new tumor environments is on the horizon as well. These findings are described in the article entitled Customizable biomaterials as tools for advanced anti-angiogenic drug discovery, recently published in the journal Biomaterials. Progress in this area of research was reviewed by Dr. Eric Nguyen and Dr. William Murphy from the University of Wisconsin-Madison. 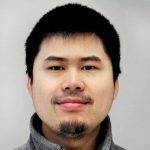 Eric Nguyen is a Postdoctoral Research Associate at the Department of Ophthalmology and Visual Sciences at the University of Wisconsin-Madison.